Welcome to Multiple Hauliers (EA) LTD.
As the name implies, these vehicles are capable of lifting the trailer and ‘tipping’ their cargo into specialised hoppers, holding areas or other such areas as the client requires. 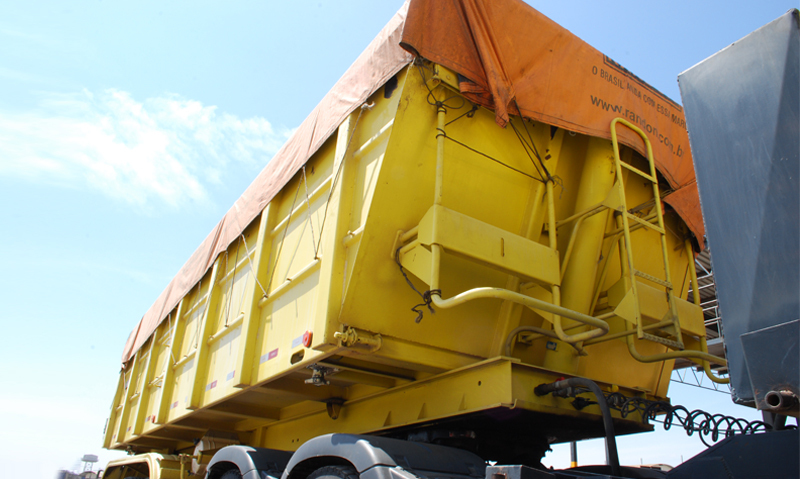 Tippers are primarily used for the transportation of bulk goods, such as clinker, fluorspar, soda ash, coal, and certain agricultural commodities. They can however, also be used to carry bagged goods, able to be ‘dumped’ without damage on arrival at delivery site. Multiple Hauliers has recently pioneered in the design of a tipper body, capable of carrying shipping containers, making it one of the most versatile modes of cartage. The company presently runs some 300 tippers. Home / Contact Us Sitemap © 2011 Multiple Hauliers (EA) Limited, All rights reserved.